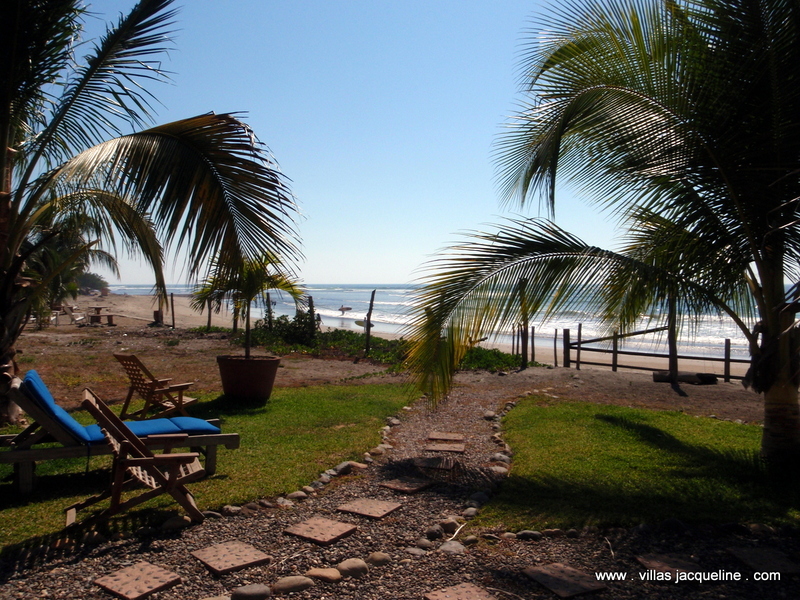 Villas Jacqueline consists of three beautiful beach houses at Playa la Saladita in Guerrero Mexico. 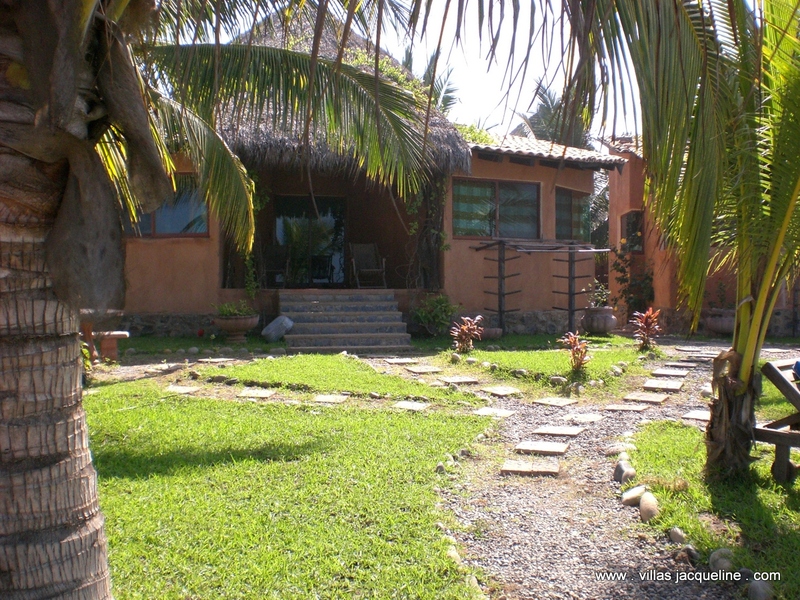 Saladita is north of Zihuatanejo about 40 minutes on a good road. 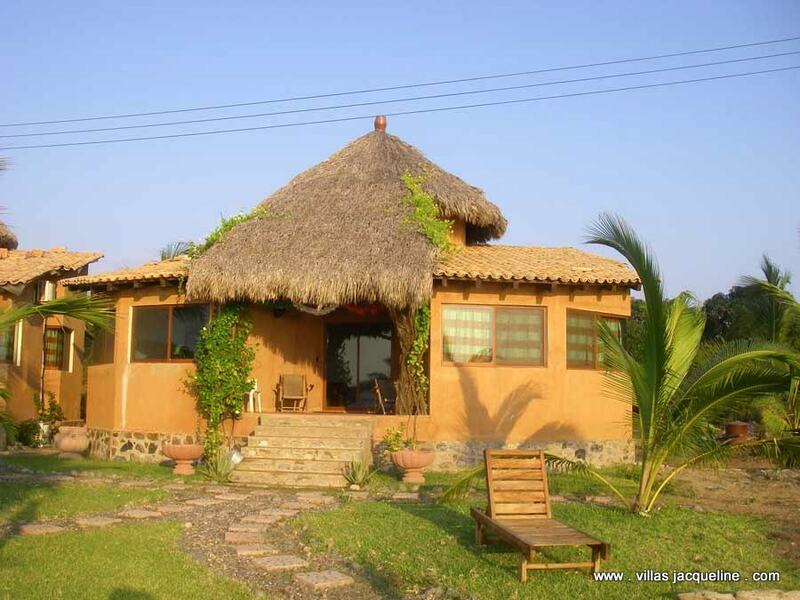 The Villas are full sized houses for rent. 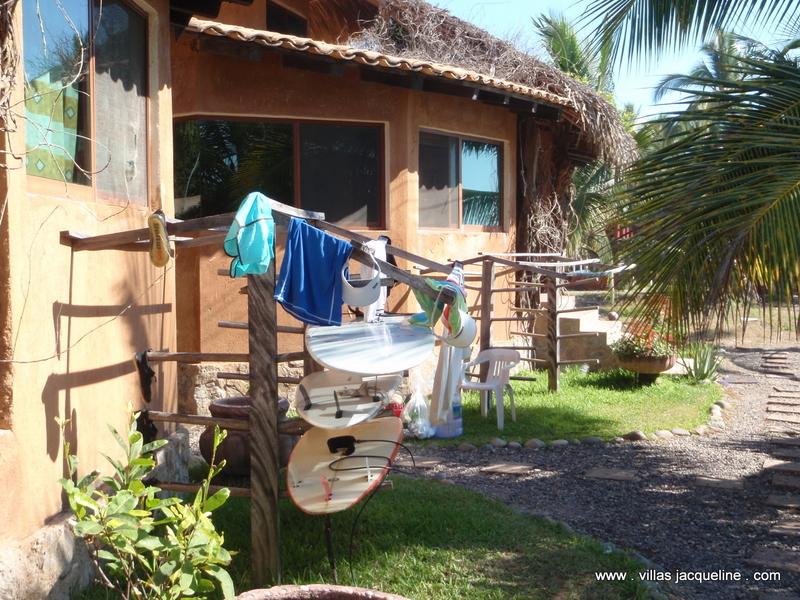 For large groups, families with children and most of all, surfers, Villas Jacqueline is the first choice. 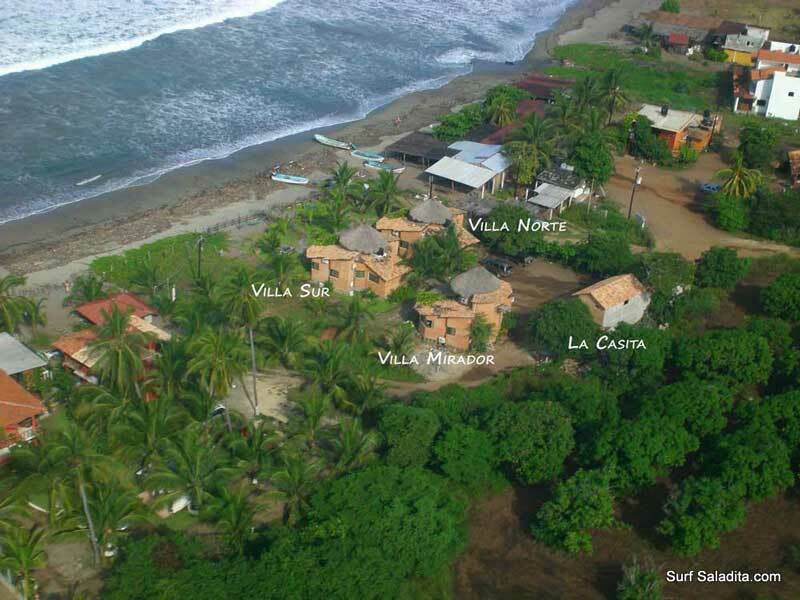 The North Villa and the South Villa are right on the beach. 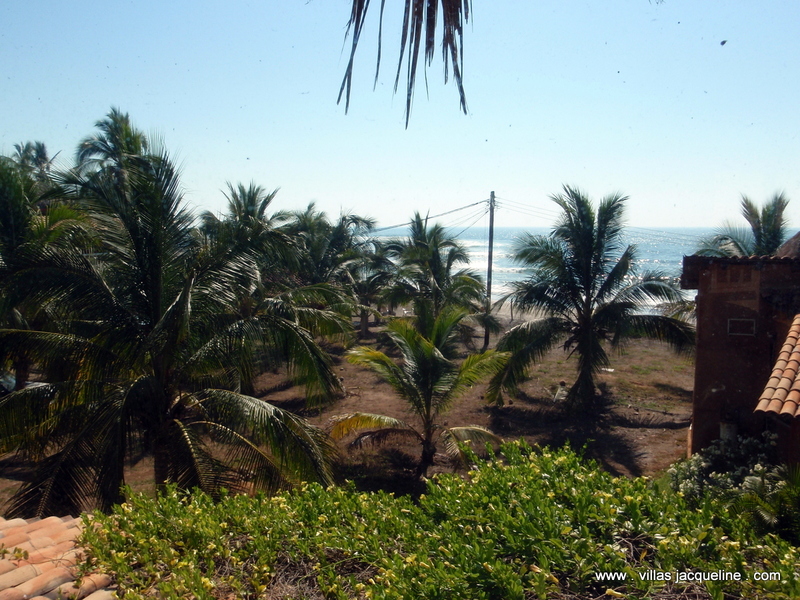 The third, El Mirador, is set back about 60 feet from the beach. 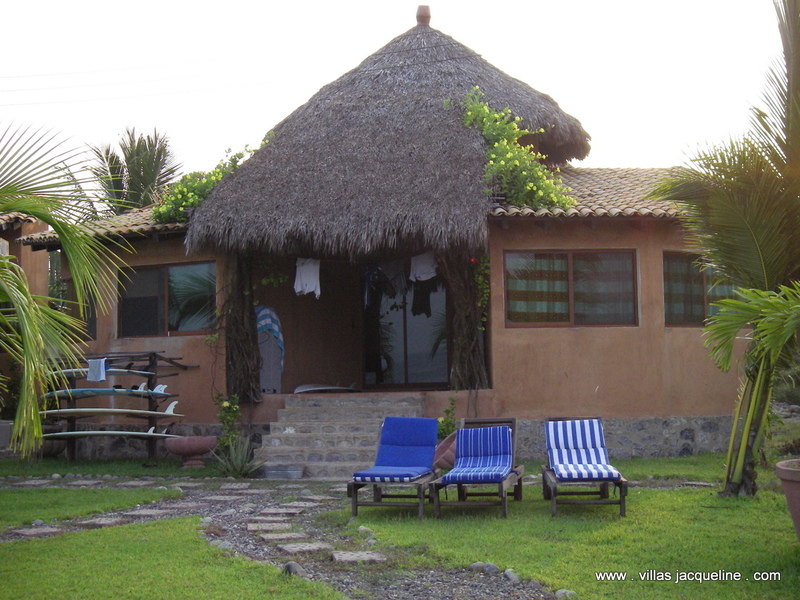 If you want to surf, the Villas are the place to be. 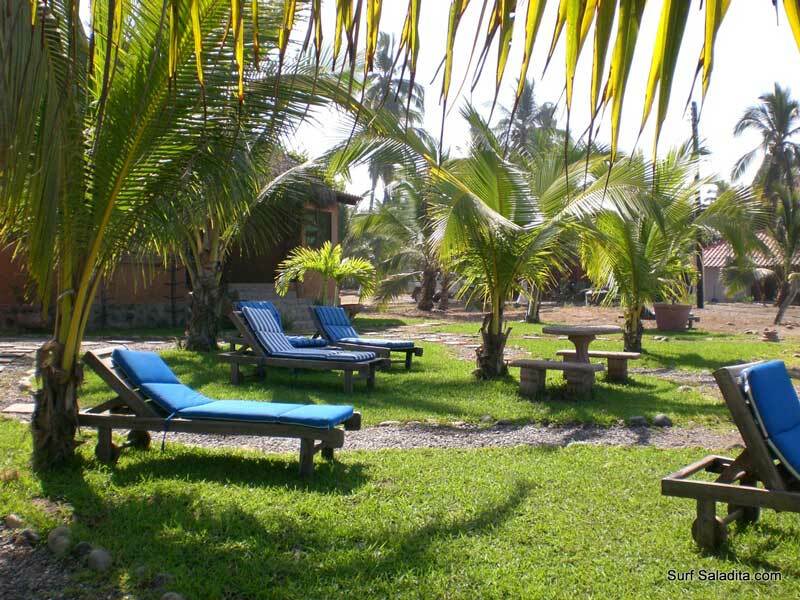 Discounts for stays over 10 days! 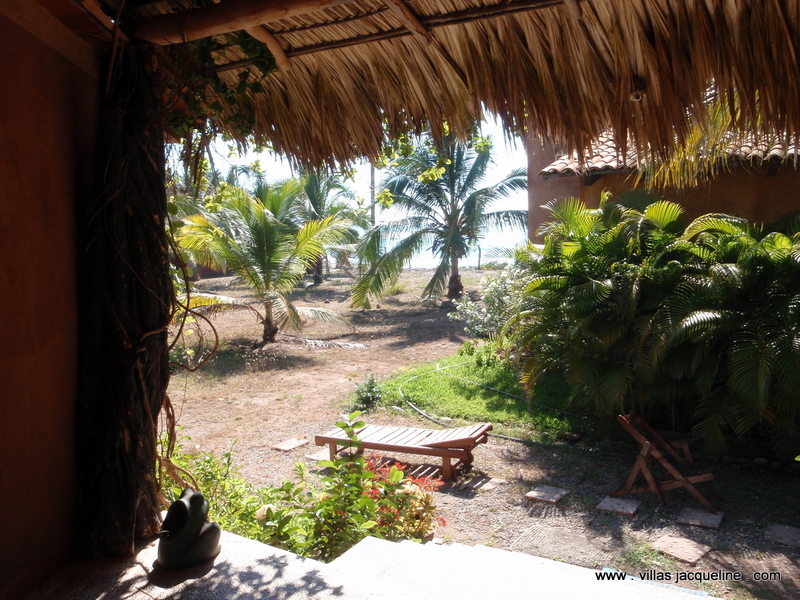 El Mirador is set back from the beach, but still has a great view and easy access. It is two stories. The upstairs features a large master bedroom and bath. 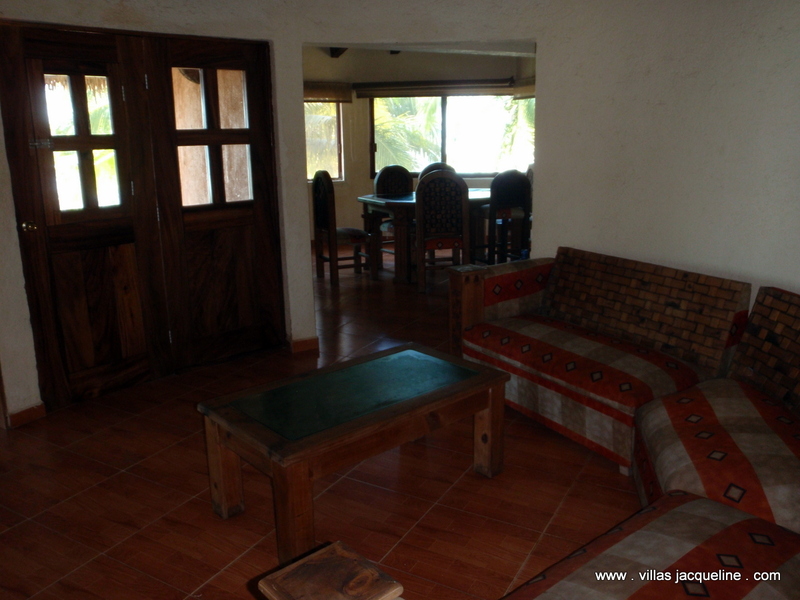 It is a great getaway and has a stunning view of the beach and wave. Downstairs is open and comfortable. 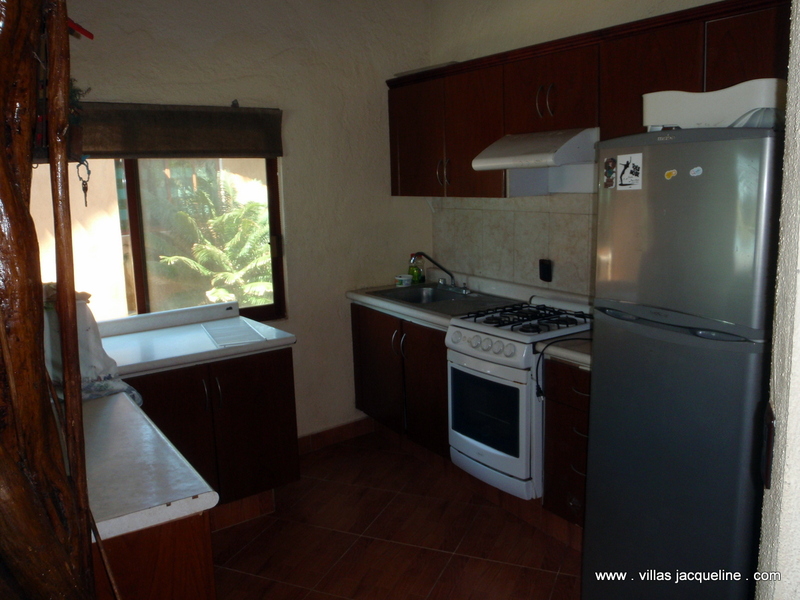 It has a full size bedroom, dining room and kitchen. 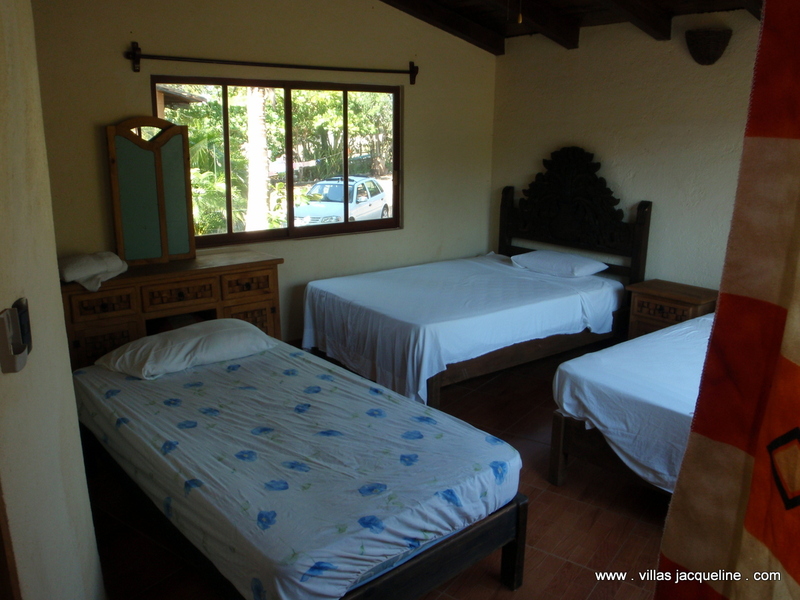 El Mirador can be rented by couples at a two person rate of $100 a night. 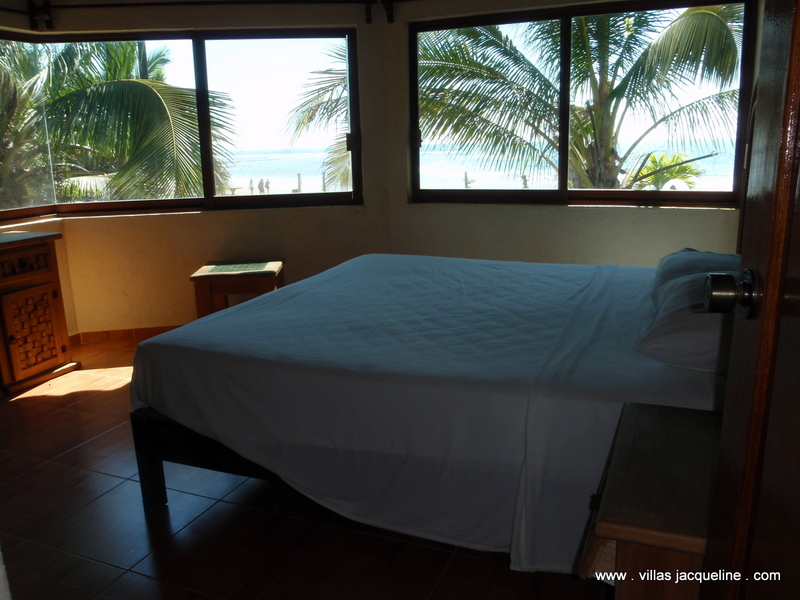 The South Villa has one of the best views on the beach. It is quite and private. From the master bedroom you can look out and watch the surf. 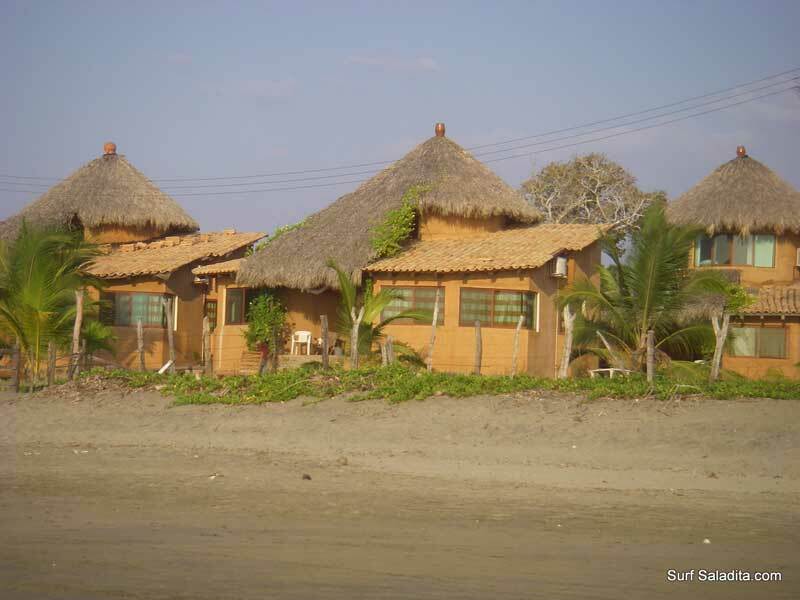 This is the most asked for house on the beach.It is a great place for hanging out, cooking, and most of all surfing. 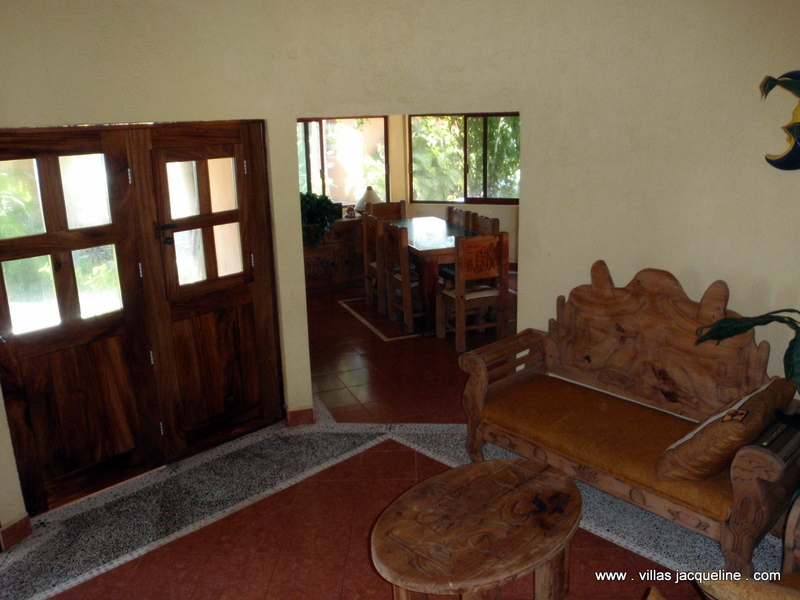 $150 USD/night. Up to 7 people. 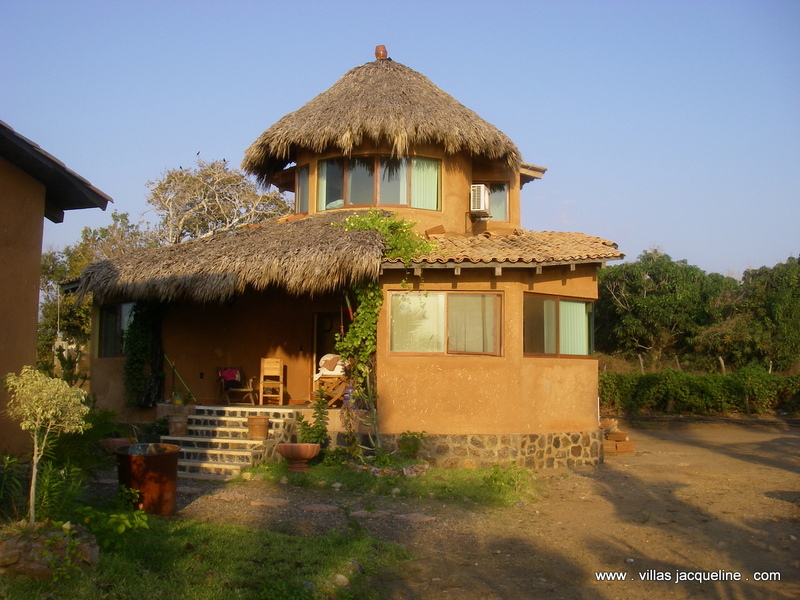 Saladita is the famous left-point, breaking year-long, just to the North of Zihuatanejo Mexico. 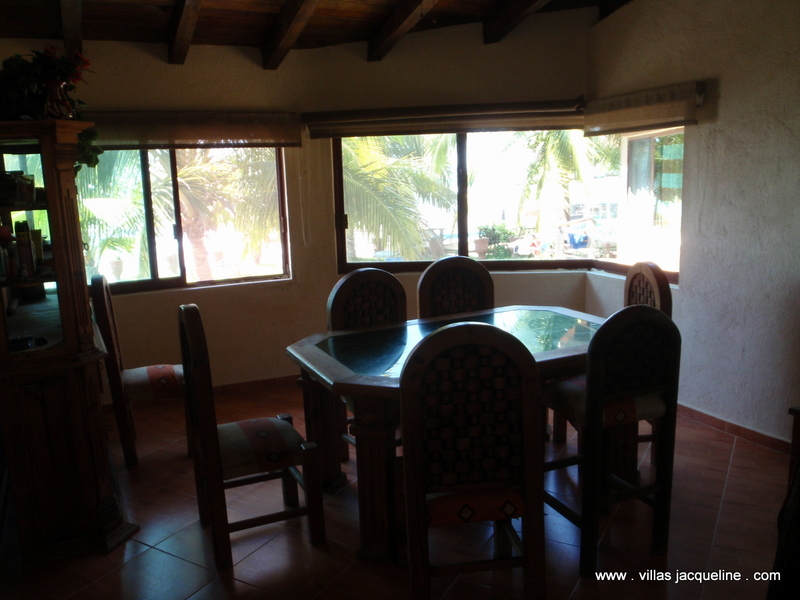 Easy to get to from the US, close to the ZIH airport. 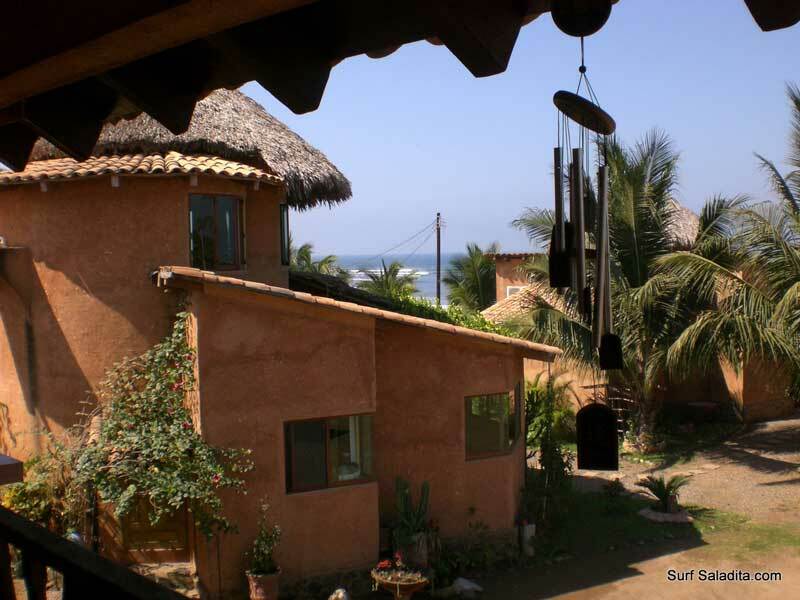 With a funky laid-back mexi-style all it's own, Saladita is about as good as it gets for surf vacations.